After producing the #1 400m freestyle time in the world (3:43.73) last night, Chinese King Sun Yang was back in the Qingdao Sports Center pool taking on the men’s 200m freestyle. Competing on day 2 of the 2019 Chinese Nationals, which serves as the primary qualifying meet for this summer’s World Championships, Sun took the top seed of the men’s 200m free semi-finals to lead the field into tomorrow’s race. Clocking 1:47.06, Sun cruised into lane 4, but Ji Xinjie isn’t too far behind in 1:47.82 to represent the 2nd swimmer under 1:48. Sun’s time dips under the FINA A cut for Worlds of 1:47.40. Wang Shun is also in the mix with his semi time of 1:48.52, as is 16-year-old Hong Jinquan who touched in 1:48.66 to make the final. Hong’s outing this evening places him as the 2nd fastest 18&U swimmer in teh world thus far this season. In terms of finals on day 2, Yan Zibei got the job done in the men’s 100m breaststroke, clocking 59.52 to take the gold medal. That clears the 59.95 A cut for Zibei, but is well off his own National Record and lifetime best of 58.92 registered at this same meet 2 years ago. He now checks-in as the 6th fastest swimmer in the world this year. Also clearing the A cut mark is Wang Lizhou, who finished in 59.75 for silver. That’s just off his PB of 59.50 earned at last year’s Pan Pacific Championships in the semi-finals. There in Tokyo, Wang ultimately finished in 59.76 for 5th in the final. Making headway into the world rankings was Zhang Yufei, who took the women’s 100m fly final by storm tonight, registering the only time under the 58 second threshold. Zhang scored the 4th fastest time of her career, hitting the wall in 57.69 to take the gold. That outing inserts Zhang into the #2 spot in this season’s world rankings. Finishing behind Zhang was Wang Yichun who punched a personal best of 58.34 to take silver, while Zhu Jiaming rounded out the top 3 in 59.22. Both Zhang and Wang cleared the FINA A cut threshold of 58.48, so we should see them both in Gwangju. At the 2017 World Championships, Zhang made the final, finishing 8th in 57.51, so the fact she’s within .18 of that mark is promising for the 20-year-old in terms of medal potential. The men’s 50m fly final saw Yu Hexin take the top prize in 23.58, touching the wall just .02 ahead of runner-up Cui Junming‘s mark of 23.60. Zhao Xinjian was also just shy of the gold and silver, touching in 23.64 while Wang Deng was 23.65 for 4th. Li Zhuhao found himself off the podium in 23.68 to settle for 5th. The 2012 double IM Olympc champion Ye Shiwen found success in tonight’s 200m IM race, taking gold by a large margin. Finishing in a time of 2:09.24, Ye put up her fastest time since Rio to top the podium. That shatters the 2:12.48 prelims time and 2:13.01 semi-final time Ye clocked at the 2017 World Championships in Budapest. Shiwen now ranks 3rd in the world this season, signifying she may have a chance to make the final in Gwangju. She may be joined by runner-up tonight Chen Xinyi, who also dipped under the FINA A standard of 2:13.03 with her silver medal-garnering effort of 2:12.36. Xu Jiayu fired off the fastest time of the men’s 100m backstroke to take the top seed, hitting 54.71 for lane 4. 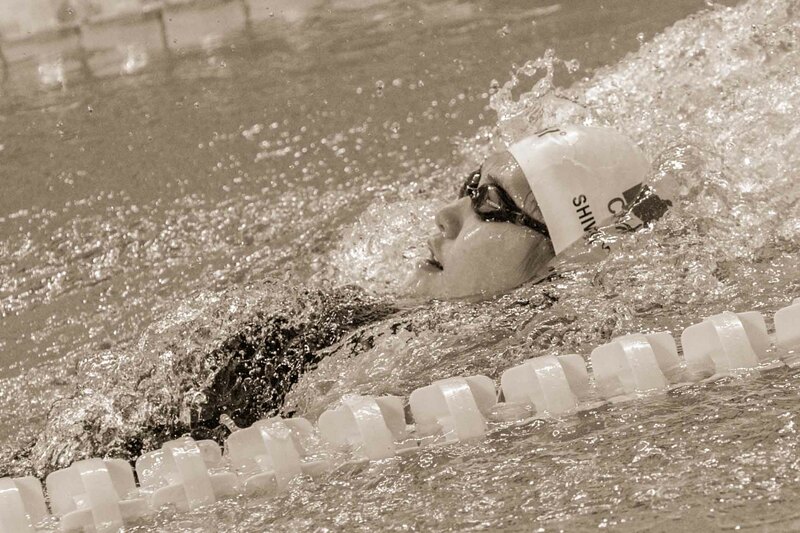 Yu Jingyao registered the fastest 100m breaststroke semi-final time for the women, notching an effort of 1:07.74. The women’s 100m back saw Chen Jie top Olympic bronze medalist Fu Yuanhui in tonight’s semi-finals. Chen touched in 1:00.56 to Fu’s 1:00.79. Interesting that Shiwen and Yang both having such good swims. I’ll leave it at that. You are surprised by Ye’s 2:09 shown at Nationals and have no problem with 2:08 of 30 yo Hosszu shown at intermediate in-season meet. You hasn’t believed in Ye’s last 50 in 400IM Olympic final, yet Li Bingjie showed same ability at the end of 1500 15:53 race last season. And Li is of the same height, weight and body shape as Ye. That proves it’s doable. Give this girl a break. This comment section suggests why Ye has been struggling with depression in the past years. A poor young girl who didn’t receive any tribute but only baseless slander for her hard work and achievement. Zhang wenwen is from my city, and I have met her in the pool some time during her breaks from national team, very nice person, but seems a bit small for world stages, best wishes for her. Hong lowered his time in the final with a 1:48.30. Ye actually made the 200 IM final at every LCM World Championships and Olympics from 2011 to 2016, so she definitely ‘have a chance to make the final in Gwangju’. 2013 WC: 4th in the final. 2015 WC: 8th in the final. 2016 OG: 8th in the final.